Web application architecture refers to the system interfacing distinctive components to empower web involvement. 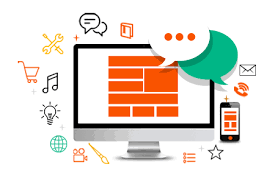 It connects various elements together during web application development and is the backbone of our daily internet browsing. The web application architecture is mainly divided into the following three types based on the distribution of the app logic among the client and server sides. This structure is the most popular and sought after among the web app development services. In this, the content of the current page is updated instead of loading new pages from the server every time the user performs an action. This results in a more dynamic user experience. This architecture executes a single functionality at a time. It includes small and lightweight services and allows the user to roll out applications more speedily and efficiently. All the components are developed in different coding languages, making it very flexible. This architecture involves the app developer contacting a web application development company for outsourcing the server and infrastructure management. It is most favorable in helping the applications execute free from infrastructure related tasks. As the web develops, everything associated with it also changes. So, you should make sure at all times that your app is up to date with the modern architecture and technology, rest it will cease to be of any use. Modernization is what gave birth to these techniques. Use them to your advantage in every possible way and let your business grow with the reach of the web.